Tom Clancy's Splinter Cell - "My God, Fisher. Have anda gone insane? Your mission is Over!" Roald Dahl Vs Non-Roald Dahl (Part 3), Which one of These Characters would anda Prefer? Roald Dahl Vs Non-Roald Dahl (Part 2), Which one of These Characters would anda Prefer? Roald Dahl Vs Non-Roald Dahl (Part 5), Which one of These Characters would anda Prefer? Roald Dahl Vs Non-Roald Dahl (Part 4), Which one of These Characters would anda Prefer? Roald Dahl Vs Non-Roald Dahl (Part 1), Which one of These Characters would anda prefer? What do anda realize after membaca a book of his? Who read all the Roald Dahl books? After this do anda think he was a genius? What book did anda not like? Well, This is not quite related to Roald Dahl. But anda may remember a scene in "Charlie and the cokelat Factory" where Mike Teavee is playing a video game. That's right, He was playing "Tom Clancy's Splinter Cell" on his Sony playstation 2. Tom Clancy was one of the video game Programmers for this Canadian video game company called "UBI Soft Entertainment". Tom Clancy died on October 1st, 2013. Tom Clancy was at age 66. Thank you, Tom. UBI Soft will never be the same without you. Well, Who will be next, David Crane? As anda may heard, On February of 2012, David Kelly, The man who played Grandpa Joe Bucket on Charlie and the cokelat Factory has died. He was 82. I remember he was a wonderful actor. David was born in Dublin, Ireland, UK. He was also known for as Michael O'Sullivan in Walking Ned. And disney will never be the same without anda Grandpa Joe. And R.I.P. Grandpa Joe Bucket (AKA David Kelly 1929-2012). BTW, I wonder what Johnny Depp (Willy Wonka) and Freddie Highmore (Charlie Bucket) are doing these days? To celebrate Roald Dahl hari (13.09.2012) Tidy buku are running a special poem competition based around Roald Dahl's poem Mike Teavee. A new book club for people who like their membaca material dark and twisted. Many of the authors of bizarro cite Roald Dahl as a major influence. a poll telah ditambahkan: Roald Dahl Vs Non-Roald Dahl (Part 5), Which one of These Characters would anda Prefer? a poll telah ditambahkan: Roald Dahl Vs Non-Roald Dahl (Part 4), Which one of These Characters would anda Prefer? a poll telah ditambahkan: Roald Dahl Vs Non-Roald Dahl (Part 3), Which one of These Characters would anda Prefer? a poll telah ditambahkan: Roald Dahl Vs Non-Roald Dahl (Part 2), Which one of These Characters would anda Prefer? a poll telah ditambahkan: Roald Dahl Vs Non-Roald Dahl (Part 1), Which one of These Characters would anda prefer? 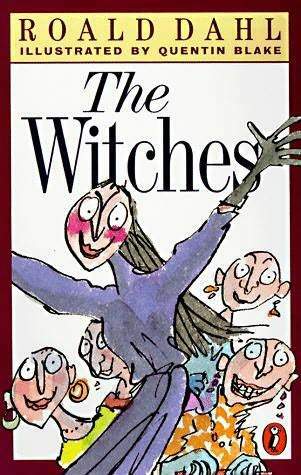 Who out of the following is a character from 'The Witches'? Can anda help me find a quote?